The year 2017 is one of the few since 2001 in which I have not visited Afghanistan – that was the year Ahmad Shah Massoud, the great mujahideen commander, was killed – assassinated by two al Qaeda suicide bombers. He met his untimely end on September 9, in his rear HQ in northern Afghanistan when the two assassins, pretending to be filming a television interview, blew him and themselves up. Two days later, more suicide bombers hijacked American passenger jets and flew them into the Twin Towers of the World Trade Center in New York, killing 3000 civilians. Less than a month later, on October 7, the United States invaded Afghanistan. I knew Massoud well, having made two documentaries about him, in 1982 and 1986, during the Soviet war [1979-89]. In 1982, soon after we arrived, having walked 12 days over the mountains of north-eastern Afghanistan to get to him, we ran into Panjsher Six, one of the nine major offensives the Russians launched against his stronghold, the Panjsher Valley. I wrote a book about that experience, Behind Russian Lines, published by Sidgwick and Jackson, in 1983. The publicity lady was very insistent that I mark the publication by, of all things, founding a charity. 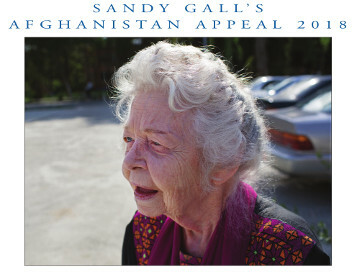 I demurred but she was persistent, so persistent that I finally gave in: Sandy Gall's Afghanistan Appeal was born. My wife Eleanor, who had worked for the Foreign Office in Paris and Budapest ran it with dedication and a lot of hard work. We had two ex-ambassador's on the committee and sent out our first British prosthetist to Peshawar, in Pakistan, in the 80's. When the Russians finally withdrew in 1989, our eldest daughter Fiona and her sister Carlotta rode on horseback over the Hindu Kush mountains to monitor our first clinic in Afghanistan, in the main Panjsheri village of Rokha. Later, a famous Afghan lady surgeon, General Suhaila, head of the Russian-built, 400-Bed Government Hospital in Kabul, offered us an empty building in her compound, free of charge, which became SGAA Kabul. 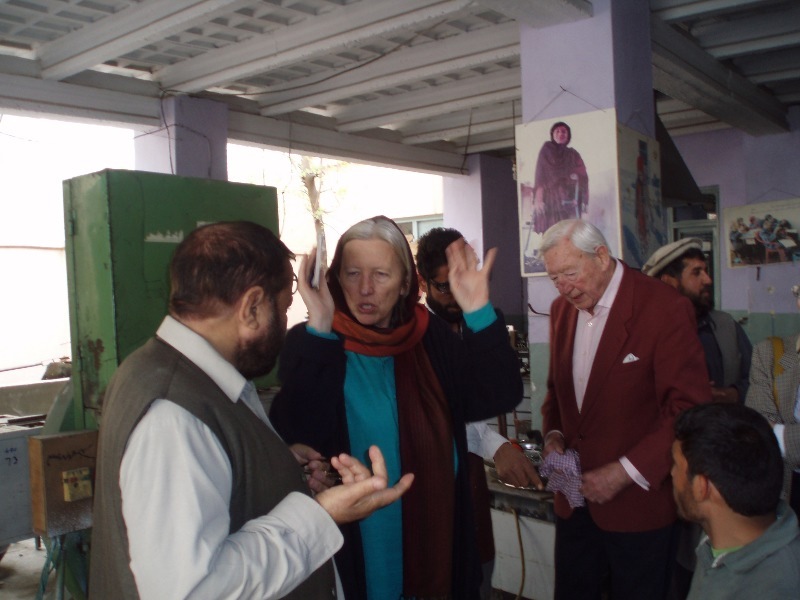 Not long after that I asked Haji Qadir, then Governor of Nangrahar Province, to open our second clinic, in Jalalabad, which is still going strong. 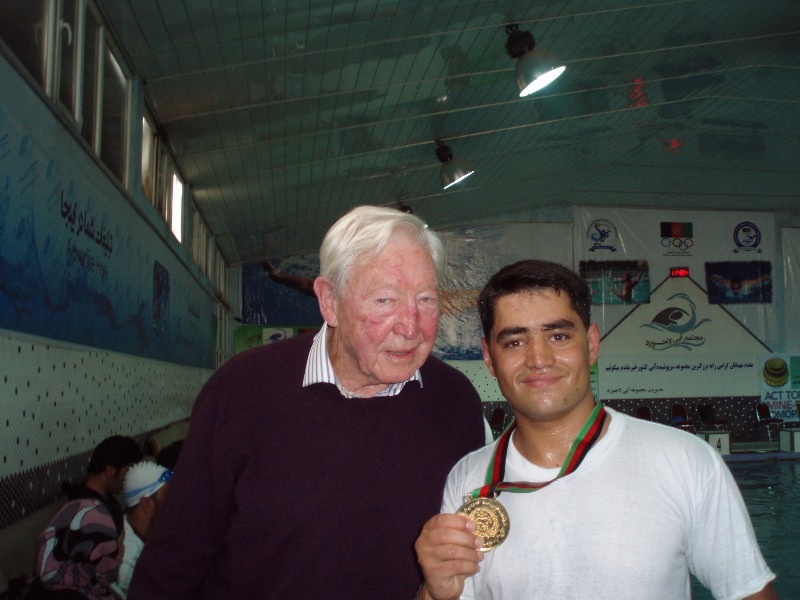 Dr Philip Henman, a leading British surgeon and one of SGAA's consultants wrote in his report after a visit to Afghanistan in 2016, that despite the lack of expatriate presence, due to civil war, the standards of our Jalalabad technicians were still at an internationally high level. I found this astonishing and a huge tribute to the teaching of former SGAA technicians like Paddy Chanmugam and John Lamb. Jeanne Hartley, as ex-head of Physiotherapy at Guy's Hospital in London, our physiotherapy expert par excellence, making, alas, probably her last visit to Afghanistan as our consultant, was relieved to find that a decision to remove Ahmad Shah from his key position as Club Foot specialist, had, thanks to her intervention been 'returned to paediatrics and continues to impress with his extraordinary insight and skill in the management of foot deformities such as club foot and congenital vertical talus. 'Likewise, Shyma, [head of the women's section] continues to maintain a very high standard.' Jeanne Hartley is concerned, however, that because of the shortage of physiotherapy staff, both Ahmad Shah and Shyma are working alone with the club foot patients 'whereas accepted practice advises that there are two people to cast a club foot in the plaster cast, one to hold the foot in the improved position and the other to apply the cast and do the final moulding. Both Ahmad Shah and Shyma are, at the moment, obliged to work alone as there are not enough staff, often having to be creative in their method of plaster application. Both are extremely busy. Shyma, alone, saw 19 club foot patients on a single day, applying a total of 33 plaster casts i.e. 14 babies with bilateral club foot and five with unilateral. Unsurprisingly, Shyma complains of synovitis in her wrist for two or three days after these sessions – she may well be developing a repetitive strain injury in the long term if this work rate continues without help. One of Philip Henman's chapters sounded a warning bell. 'Experienced therapists have reported for the first time,' he writes, 'that there is a growing problem with what is described as psychosocial disability. This amounts to severe anxiety and depression, particularly among women, many of whom are mothers.' It is attributable, Henman says, to 'an accumulation of the effect of decades of insecurity, the threat of violence, repeated bereavement, and increased confinement to the home. It is complicated by food shortages … Poor mental and physical health among parents and especially mothers is known to have consequences for their children with good evidence that these problems are propagated on to future generations. This year two more SGAA consultants visited Afghanistan, Ian Nesbitt, an anaesthetics expert, who has since got the World Federation of Society of Anaesthesiologists on board to train Afghan doctors and nurses and Nich Woolf, a former SGAA 'sturdy walker,' and NHS paramedic introduced an online medical network to Afghanistan called Yammer which enables technicians to consult one another. One of the Afghan doctors to benefit from this is Dr Rahimullah a paediatric surgeon whose training SGAA has supported and who is himself now training two junior doctors in paediatrics. The back of the calendar shows Dr Rahimullah operating and cites the staggering figure of 500 hip operations performed on children with DDH- actually the latest figure is 723! 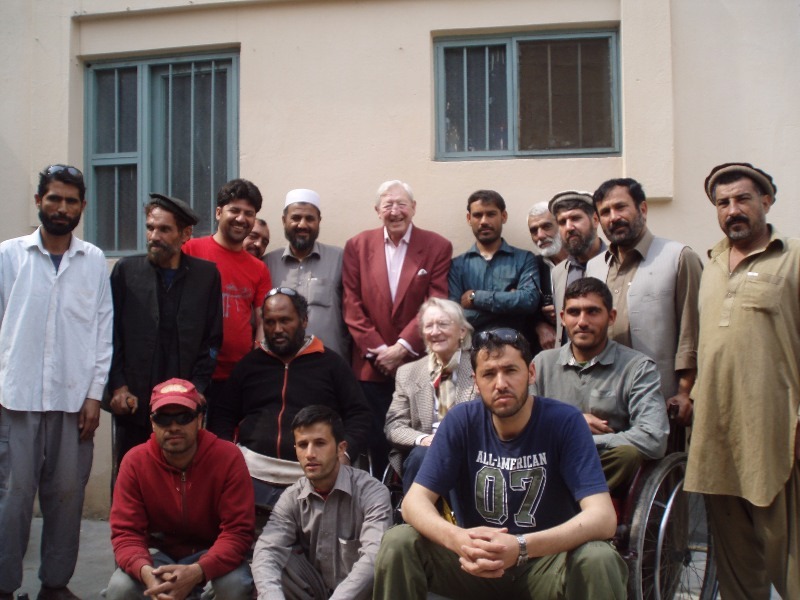 Although SGAA is a small organisation, which relies on the generosity of the Swedish Committee for Afghanistan, SCA, and its own British donors, our consultants' reports remind one of just how important their visits are. 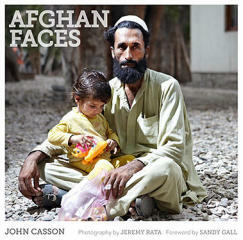 Afghanistan is a small country, poor in many ways but rich in its history and its people's bravery. As the Taliban attempt to take over by a terrorist policy backed by Pakistan and its military intelligence arm, the ISI* [*Inter-Services Intelligence Directorate], I believe it is vital we continue to give it all the help we can. In conclusion I would simply say 'Bravo' to our consultants, Afghan staff, friends and supporters, and wish you all A Very Happy Christmas and New Year! One of the most remarkable and fascinating Westerners ever to have been attracted to that infinitely exciting, dangerous and beautiful country – Afghanistan – has just died in its capital, Kabul, aged 89. On September 10, she succumbed to what was really a combination of old age and the infirmities it brings, and the fact that she never stopped working on the project which will preserve her memory for as long as Kabul exists – an Afghanistan Archive installed in a splendid modern glass and polished stone building, equipped with modern technology, she commissioned in the grounds of Kabul University. 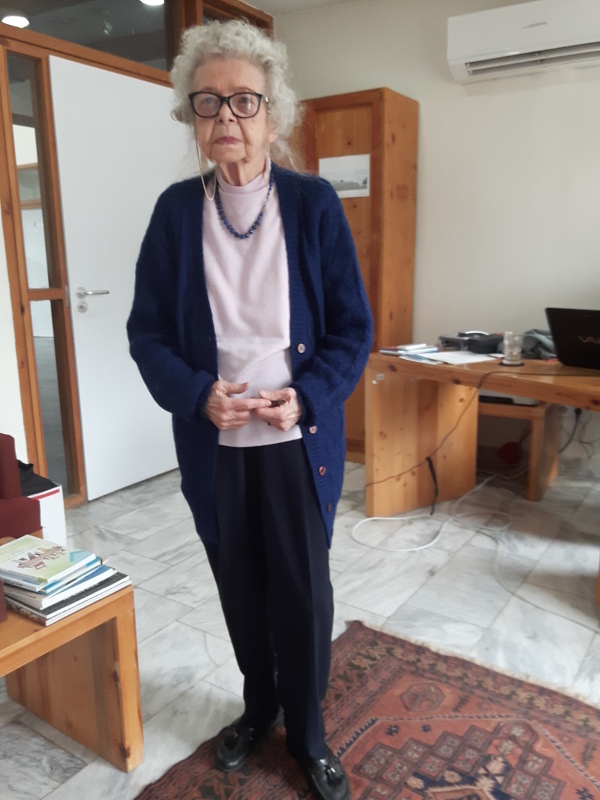 She herself tirelessly collected books, papers, articles and pictures – anything Afghan of distinction and historical value which would enhance her creation and had just put the finishing touches to it when she died. I always saw her when I visited Kabul – once a year in September, usually , and took her to lunch in a small restaurant she liked. She ate like a bird and always reminded me we were 'twins '– being the same age. She was full of reminiscences, fascinating snippets of contemporary history like her description of the parties the British Embassy gave,when she was young and full of life. But Nancy's greatest achievement was her creation of an Afghanistan Archive, housed splendidly in an elegant garden, where students can work and research in peace and quiet with the most modern equipment. Nancy's archive is her final tribute to the city and country she took to her heart and gave her life to. As she always told me , we were 'twins,' both 89, both travellers, both writers, and both in love with Afghanistan in our different ways I shall miss her, as will her host of friends in Kabul and the rest of Afghanistan. According to the 2005 National Disability Survey of Afghanistan, one in every five households in Afghanistan has at least one family member who is disabled. This is a result of 30 years of war, landmines, disease and poverty. 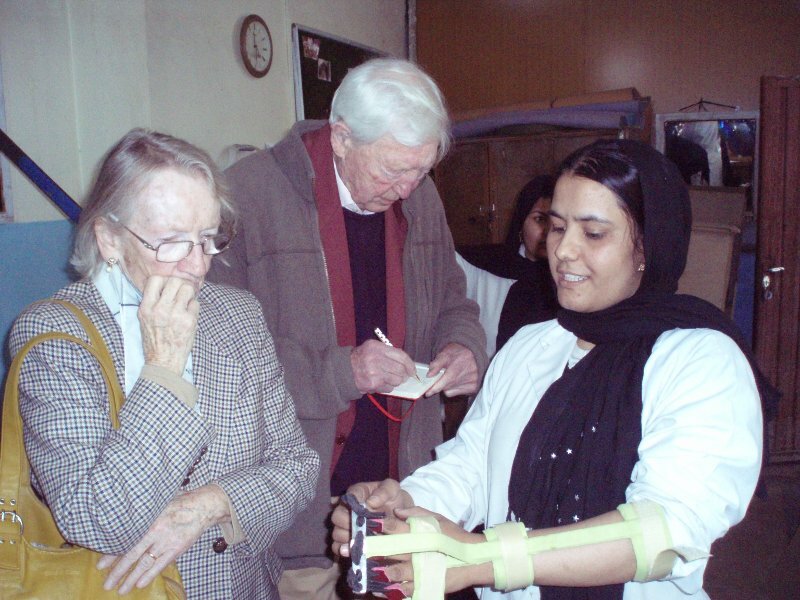 Since 1986 Sandy Gall's Afghanistan Appeal (SGAA) has trained Afghan professionals to provide artificial limbs and other mobility aids for more than 25,000 people with disabilities and provided physiotherapy treatment for over 60,000 patients with temporary and permanent disabilities. 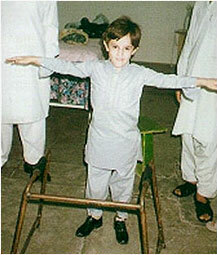 Activities were initially based in Peshawar, Pakistan where there were over 1 million Afghans living in refugee camps in the 1980s and 1990s. SGAA gradually moved its activities inside Afghanistan from 1991 onwards and set up two main centres in Jalalabad in 1993 and Kabul in 1996. Since 2006 SGAA has signed a partnership agreement with Swedish Committee for Afghanistan and its activities are now merged in a community based disability programme which works in 13 provinces. This programme both treats people with different types of disability and offers them a range of services including home-based training, physical rehabilitation, education, skills training and business loans. Top left: Mahpekai, senior prosthetist-orthotist, and double amputee, showing a drop hand splint she has fabricated. 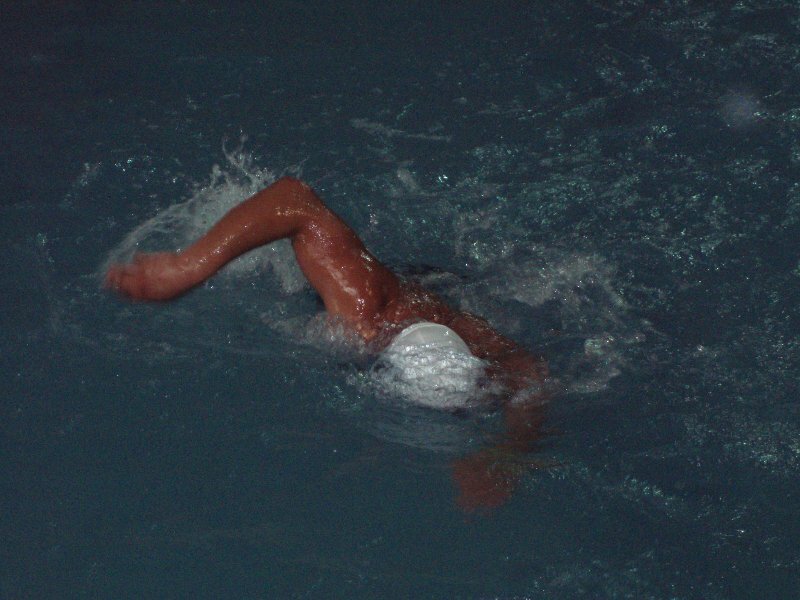 Bottom: Malek, who is a double amputee, winning his race in Kabul. hip and half of his leg, amputated above the knee in what is known as an AK.